BEAUTY TIP #1: Invest in a long wearing liquid lipstick for your wedding day! One thing a bride should never stress over on her wedding day is having to touch-up her lip color. There really is no excuse for her lips to fade, smudge or transfer onto her groom. Almost every brand, luxury and mainstream, has a long wearing lipstick that will last through-out eating, drinking and kissing. The long wearing lip color usually is a liquid lipstick formulation that gets painted onto the lips – kind of like a lip gloss. Once it drys onto the lips, a gloss can be applied for additional shine or moisture. The best part is you will never worry about having faded or smeared lipstick, especially after kissing the groom! Seventeen color shade to choose from. This ultra-saturated liquid formula delivers an intense shot of matte pigment in one easy swipe. A single application gives you smear-resistant coverage that stays put for hours. Twenty-eight shades of color. The full-coverage, long-lasting formula glides over lips like a gloss, but dries to a velvety, matte finish. Infused with nourishing vitamins A, C and E for added comfort, it won’t dry out or feather like other matte lipsticks. Six color shades to choose from in a long-wearing lip colour that applies in two quick steps with a base color and gloss. Also features a comfortable, lightweight formula. Twelve full-coverage, soft satin shades. 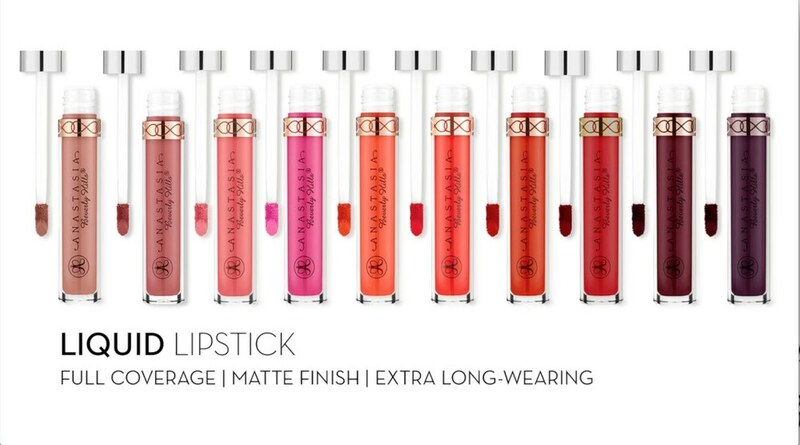 One step, food-proof lip color with a patented ColorStay technology that lasts up to 24 hours. Comfortable wear. No topcoat required. Fourteen lipstick choices that provide beautiful, long-lasting color. Ample color choices in matte and satin finishes. This product features avocado oil for a texture that transforms as you wear it: when applied, the initial cream texture becomes a silky, lightweight stain. Lips achieve stunning color and feel soft and comfortable. Ten color choices that deliver intense moisture and long-lasting color that stays in place for up to 6 hours of continuous wear.